Some weeks, Friday rolls around and it’s time for our weekly gaming digest Missing Pieces and I panic because I’m left scraping the bottom of the barrel after a bunch of slow news days. And then sometimes (okay, one time, and it’s this week) I go on vacation for a few days, and suddenly Missing Pieces balloons into basically all my writing and the news gets out of control and…well, what I’m saying is strap in, because we’ve got a ton to cover today. John Cena raps about the Commodore 64, a man shoots his blue-screened computer (like with a gun), Polygon shows off an Alan Wake 2 prototype we’ll never play, and Mad Max gets an insane in-game trailer—this is gaming news for the week of April 20. And we even have mods that let you kick cars into oblivion. Now the question is whether or not Rockstar’s going to start banning people from GTA Online for using mods—a position it's yet to clarify. The longer Rockstar waits, the more conspicuous the silence and (inevitably) the more angry people will get if bans do occur. You might know: I’m a pretty huge wrestling fan nowadays (lapsed and then reborn about a year and a half ago). And finally—finally—I can suit up in virtual tights again on the PC. For the first time in over a decade, 2K announced that a WWE game (specifically, last year’s WWE 2K15) is coming to PC. And I mean, by all accounts WWE 2K15 isn’t even that good. But wrestling. On PC. 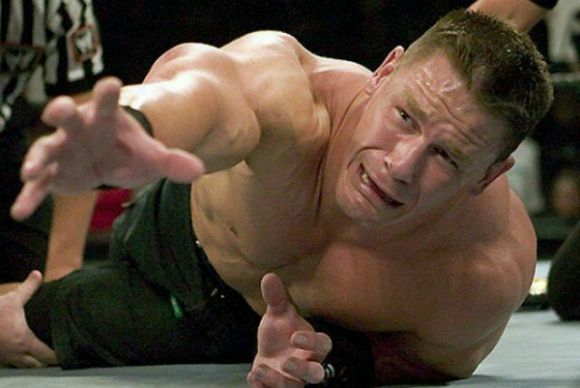 Also, this hopefully means that we’ll get the inevitable WWE 2K16 on PC day-and-date with the console releases, which would be a relief. "I grew up playing games on my PC. Texas Instruments, Commodore 64…I was a huge PC gamer growing up, so this is big. Not only for our fans, but for me personally as well. Fans may not know this, but I was such a huge PC gamer that I bought a living room entertainment system just to play PC games back in the day. So don’t be surprised if you flash forward 50 years and yours truly is sitting in his living room playing computer games!" Not pictured: The Commodore 64 John Cena is reaching for. Yeah, people weren’t too happy with no classes, no space battles, at least some of the vehicles (the AT-AT) being confirmed as non-controllable, eight maps, et cetera. All of those are “steps back” as it were from 2005’s Battlefront II. And at least one is incorrect, according to a DICE developer. “Also, please stop with the reduced number of maps. We have more than 8 maps. How many have not been announced yet, but it's more than 8,” wrote one of the game’s producers on Reddit. Still no space battles though. I’m not even a huge Warhammer fan, but this trailer for Total War: Warhammer (subtitled Yes, We Know We Should Have Called It Total Warhammer) is thrilling. On the other hand, I thought this trailer for Rome II was thrilling also, and that game was a heaping pile of trash. Creative Assembly giveth, and sometimes Creative Assembly taketh your $60 away and makes you weep. Valve took steps this week to hopefully limit the amount of spam/phishing accounts on Steam. From now on, users will need to spend at least $5 on Steam before they’re able to send friend requests, vote on Greenlight, flood Steam Workshop with garbage, or use most of the chat functions. And I mean, $5? You could buy fifty PC games with that money. E3 week just keeps getting longer and longer. In addition to Bethesda’s surprise E3 press conference on Sunday this year, now Square Enix says it’ll be holding its own press conference on Tuesday morning, 9AM. You’ll be able to watch it live here. There goes my beauty sleep. Dark Souls II fans will be happy to hear that From Software is finally (like, over a year after release) patching a bug that caused weapons to degrade at a faster rate if the game is running at 60 frames per second. 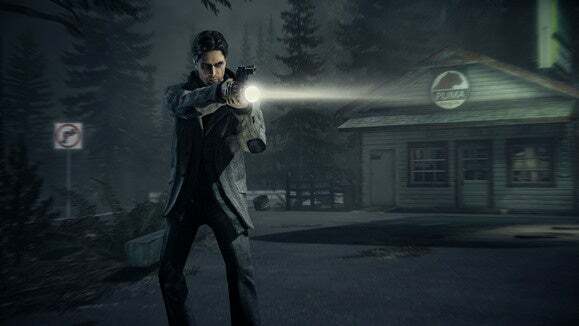 Wondering where that Alan Wake sequel is? Buried, apparently. Or at least in limbo. Remedy released a video to Polygon this week detailing a prototype of the sequel-that-may-never-get-made. It’s part of a pretty massive feature article about some of Sam Lake’s plans for the game, as well as the reasons it got back-burnered. Holy wow. I’ve sort of been holding onto hope for that Mad Max video game because Avalanche is making it and Just Cause 2 is one of my favorite games of all time. Well this week we finally got a look at the game itself, and—oh, excuse me, I was just buying tickets for the hype train. Final stop: A car called Shovelface. So amazingly dumb. This isn’t strictly PC gaming news, but come on. This guy beat Bloodborne with a Rock Band controller. And the Rock Band controller wasn’t even as good as the Guitar Hero controller, so not only did he beat it with a terrible (for third-person action games, I mean) peripheral, he beat it with a subpar version of a terrible peripheral! Also, he beat Dark Souls with the damn Rock Band drums. I just can’t even comprehend this. As mentioned, I’m on vacation this week! And that’s great for me, but not so great for our gaming coverage. It’s been a light week. Chip’s Challenge is finally coming to Steam! Blizzard’s MOBA Heroes of the Storm got an official release date! Valve made a lot of people mad by allowing developers to charge for mods! And that's it, plus a Dungeons 2 review coming tomorrow. See you next week!